Crocker was on the back of a note card I sent along with a commission and Daredevil was a con sketch from the MO-KAN Comics Conspiracy show last year. Special thanks to Malvin and Justin for taking the time to scan these. 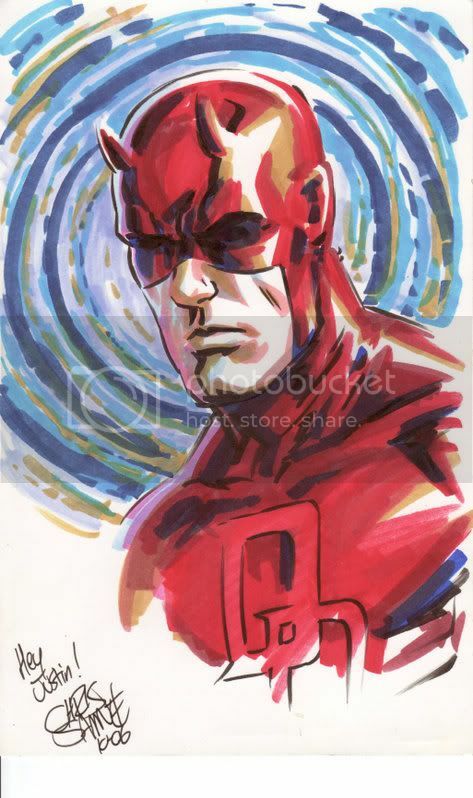 Both are very nice; I'm partial to the linework in the b/w sketch, but the colors in the Daredevil sketch blow me away! 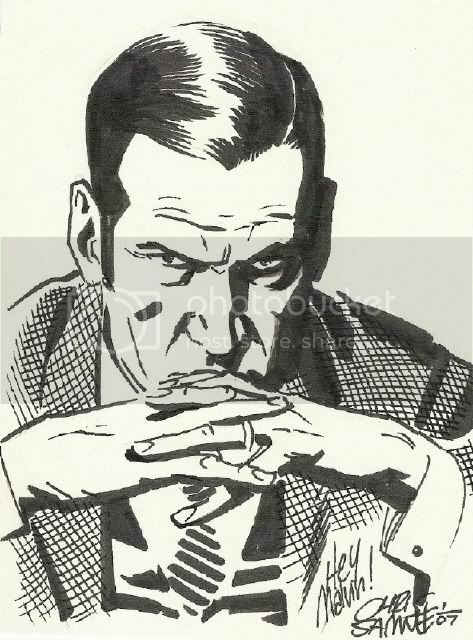 Yeah with the top one I was trying to channel Alex Raymond's old Rip Kirby work. Daredevil...he's red. I got nothin'.